We take a closer look at how hypnotherapy can help you overcome your fear of rejection and take steps forward in your career and life. Being rejected is something many of us fear. Whether it’s in a social context or at work, if this fear becomes too intense, it can hold us back. Maybe this fear stops you from going for that promotion at work, or perhaps it’s stopping you from putting yourself ‘out there’ romantically? If this is something you can relate to, know that you are certainly not alone and there is support available. Hypnotherapy is often used for fears and phobias, but can it help with a fear of rejection? We speak to Will Aylward who tells us his experience of hypnotherapy for fear of rejection and how it’s inspired him to train to become a hypnotherapist. When did you start to realise you had a fear of rejection? I first realised I had a fear of rejection when I started my business four years ago. There were certain activities and actions I was willing to take, in my comfort zone, and others that seemed too scary – for example, writing a book. What gave you the idea to try hypnotherapy? I had previous success using hypnotherapy to manage anxiety and this gave me the idea to try it for fear of rejection. What initially interested me was learning how many celebrities, athletes and other people at the top of their game were using hypnosis to help them. Did hypnotherapy work for you? Hypnotherapy has certainly worked for me. I genuinely feel more in control, calmer and confident since discovering hypnosis. For me, it’s safe, powerful and relaxing. Why did you decide to train to become a hypnotherapist? I’ve decided to train as a hypnotherapist as I believe in its power for helping people. I work as a coach currently so I’m excited to have hypnosis as another powerful tool in my toolbox to facilitate positive change in my clients. Wondering whether or not your fear of rejection could be helped with hypnotherapy? We ask hypnotherapist Caroline Evans to explain further. How do you start noticing the fear of rejection? Fear of rejection is a symptom that derives from anxiety. When a person’s anxiety rises, some of the symptoms could be increased heart rate, hot or cold flushing, stomach churning or panic attacks – classic symptoms of our flight or fight response. The anxiety is caused by our own negative thoughts, maybe a lack of confidence in certain areas of our life or low self-esteem. This can cause us to avoid situations altogether as we negatively forecast the outcome before the event has taken place. How can hypnotherapy help with fear of rejection? The fear of rejection is a thought or template that sits in our primitive, emotional, subconscious mind. 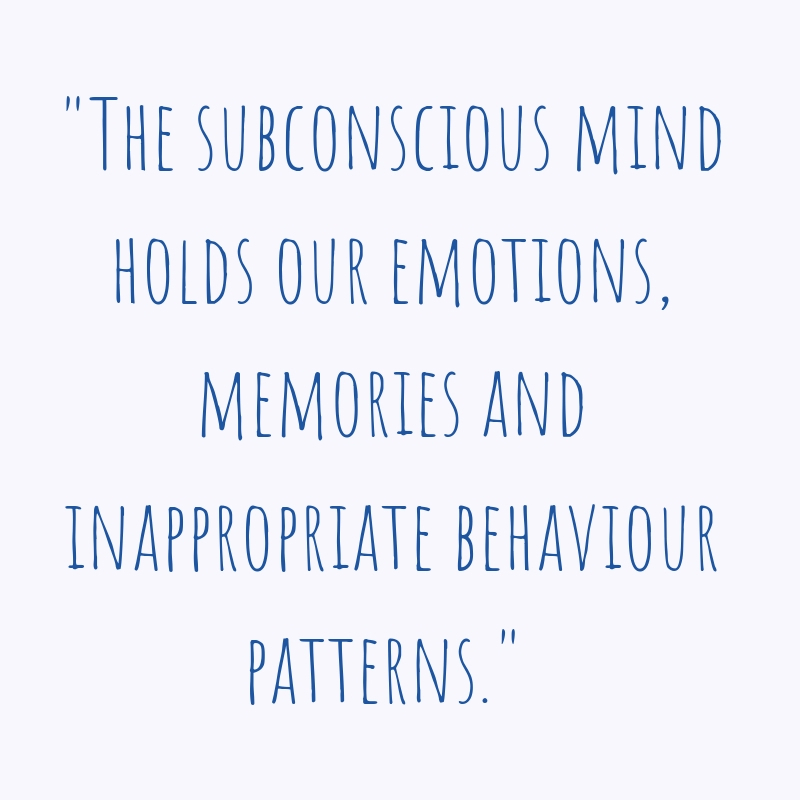 The subconscious mind holds our emotions, memories and inappropriate behaviour patterns. The fear might block your natural and infinite strengths and resources and make you hesitant to take action, preventing you from reaching your goals. Hypnotherapy uses trance or deep relaxation to relax the body and mind. While relaxed the subconscious is open to positive suggestions which can develop fresh neural pathways. The process calms down the nervous system and helps you to integrate the positive suggestions into your life. To change the ‘bad habits’, we’re engaging both parts of our mind. Solution-focused hypnotherapy uses positive psychotherapy on the conscious mind to reset your goals and clinical hypnosis to access the subconscious mind when in trance. This allows both minds to work together in unison for the same successful result. Do you have any advice or tips for those that might be struggling with fear of rejection? For those who suffer from a fear of rejection, it’s important to understand that the feeling of anxiety associated with it may be born from low confidence levels or limiting belief in ourselves. Taking time to slow down and relax which restores your capacity for objectivity. Either using deep breathing techniques, meditation or yoga or just a walk in the park. Relaxation slows down the heart rate, reduces blood pressure and slows down breathing. Relaxation allows the amygdala – which operates our flight or fight response – to come off high alert and rest. Seek help, maybe from a hypnotherapist who can help you to slow down and relax. This encourages you to be more aware of your thoughts and feelings, instead of being overwhelmed, so you can better manage them. Once we learn to relax and drop our limiting beliefs, we can then move into an area of possibilities and realise that we are all capable of remarkable things.